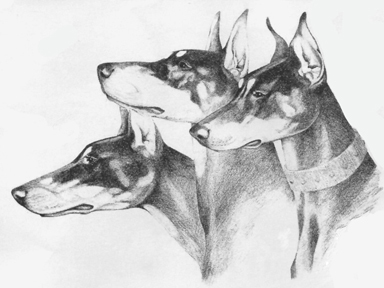 Home > Working Group > Doberman Pinscher "The Sentinels"
"The Sentinals" is a Limited Edition Print, signed and serially numbered by the artist. Image size is aproximately 22"x28" and it has a companion print called "The Guardians". .